Back in the day…yes, I’m going to reminisce a bit. I am old enough to remember when people would sit on their front porches, enjoying the weather and talking with their neighbors. People knew one another and shared their stories from the day, whether it was work or kids or home. Too, they would offer each other sweet tea and cookies if the need arose. I know it sounds a bit like a fairy tale at this point. Now, I see people rush by on their daily walks, listening to music or chatting on their phone. No one sits outside any more, and very few of us know our neighbors. We lead hurried, isolated lives while being electronically connected to the world. When I was growing up, we didn’t have all of those electronic devices for entertainment. We talked, played cards and board games, and did crafts. The fathers in our neighborhood played basketball in the evenings, and the kids enjoyed games of “Red Light, Green Light” and “Red Rover.” The mothers chatted, drinking tea or some other such drink. Cookies and Kool-aid were plentiful for all. 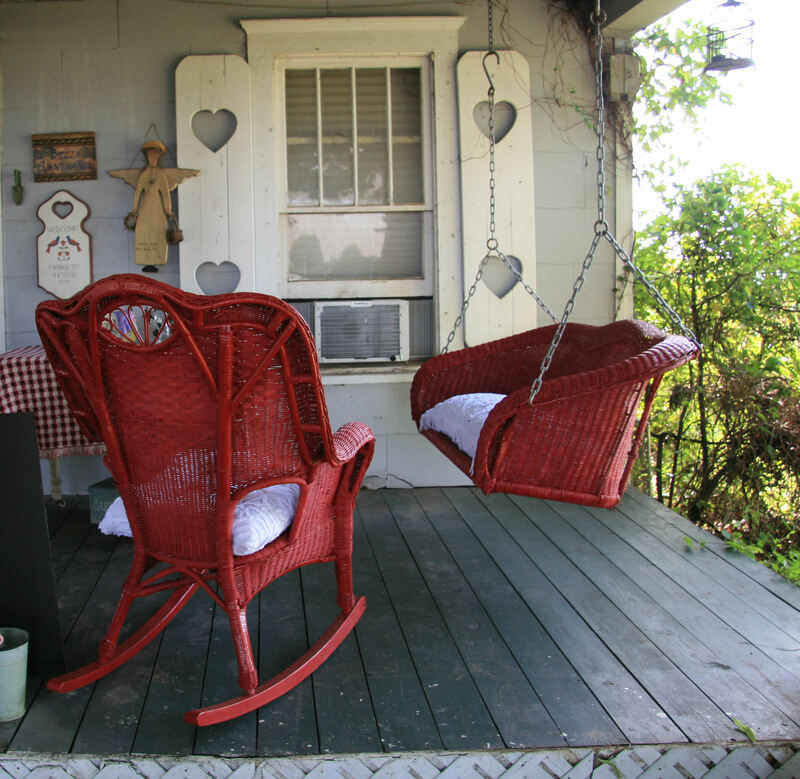 Porch swings were a place to sit a spell. They were outdoors but shaded, allowing you to enjoy that cool breeze that comes by every once in a while. They were a place to prepare freshly picked green beans for the pot or even work on a cross stitch. And for kids, they were a place where you could dangle your legs off the side and swing as hard as you could, at least until your parents caught you. Yes, for some it might seem a fairytale. But for the rest of us, those porch swings bring back some good memories, and perhaps, a bit of sadness for what we’ve lost. Next Post Fun is a Part of a Cat’s Life!